If you're planning to move overseas, you might want to consider a multi-system tv to save you money and time. For those new to multi-system TV's, these are hi-def TV's that can easily play on any standard system from around the globe. The usefulness of these items comes in saving you from buying a new and expensive TV when moving to your specific country. Likewise, it can help those moving to America from overseas so they'll have a TV that fits U.S. standards. More good news for you is that here at Bombay Electronics, we offer these TV's at affordable prices. Each model can easily conform to NTSC, PAL, or SECAM video formats from every country. And many of these TV's come from the best known brand names in electronics. Those looking for a TV that's lightweight when moving overseas should consider a smaller screen width. One of our smallest is an excellent 19-inch multi-system TV from Toshiba. The 19HV15 Regza 720p model is basic, though gives you an excellent picture based on its Meta Brain Pro feature that helps provide more natural images. It's ready for any worldwide voltage. For those who want 1080p in as compact form as possible, try our 22-inch Samsung UA-22D5003. It's a plasma, which gives you an excellent picture that's better than many other HDTV's. Along with a 100hz clear motion rate, you can enjoy excellent images in another country without worrying about compatibility issues. Those who plan to move permanently to another country may want to think about buying a slightly bigger TV for their living room or bedroom. In most small to medium rooms, anywhere from 37 to 40 inches will give you all the picture space you need to enjoy overseas TV programming. Anyone interested in going slightly below 40 inches should consider Samsung's 37-inch UA-37D5000. This 1080p LED comes with a digital noise filter so you can enjoy analog TV broadcasts overseas without the digital noise that can sometimes be an issue. It also has an AllShare feature that lets you connect your mobile device to upload videos, photos, or music stored on your smartphone. Going with something more affordable, yet at a standard 40 inches, try Toshiba's 40PB200E1 720p TV. From Toshiba's Regza line, the picture quality on this is consistently high quality thanks to an AutoView feature that adjusts based on the brightness of your room. It also has an automatic backlight control. We haven't forgotten those of you who want giant screens in your living room when living overseas or if moving stateside. 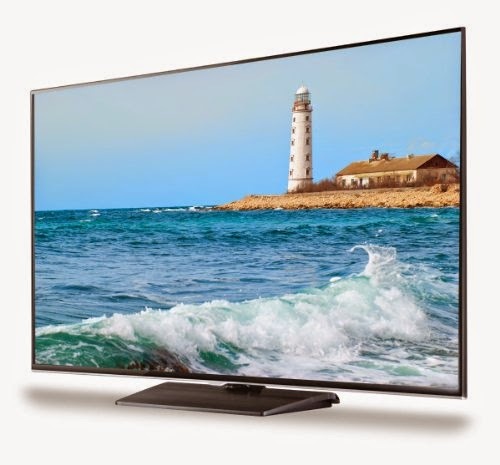 We have TV's that go up to 60 inches and at prices substantially lower than what you'll find at major online stores. One of our most affordable is a 51-inch model from Samsung that's a 720p plasma. With an option of wall hanging, you can create a stylish look for your TV anywhere you happen to live. Those who want to go even bigger should look into our 60-inch Samsung UA-60F6400. Here, you'll find every home theater aficionado would want, including 3D for any 3D programming available in other countries, or for 3D Blu-rays. It also has four HDMI inputs so you can connect as many peripheral devices as you need. Just be sure your other peripherals are compatible with the standards of your country. Come and see more of our multi-system TV's here at Bombay Electronics. And contact us about international shipping so we can send your TV soon if you're planning a move to the United States. With our excellent reputation through the Better Business Bureau and Google, you can trust us to give you superior customer service with prices not found anywhere else.